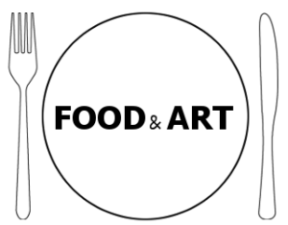 Leading with our stomachs, the FOOD & ART strand will position the subject in a central position to explore the wide range of concepts surrounding food. FOOD is a tactile physical media, a technology and a chemically complex substance, it is also a fully immersive and sensory experience embedded with memory, language and emotion. Food is flexible, pliable and adaptable, and it possesses the ability to perpetually re-invent itself into novel narratives by its’ user, consumer and producer. Food provides a platform for engagement on an economic, political or social level, on as an individual level and as a collective body. The multifaceted dexterity of food therefore offers itself as a fundamental medium for a ‘first-hand’ experiential perspective, and also to represent itself as an ideal vehicle for the discourse examining the system in which it inhabits. During the strand we will look at narratives in food systems to develop an interactive, performative, ready-made, live or instructional project working in small groups of two (or three). Each group will work collaboratively to create an ‘edible’ work in the form of a- manifesto as a menu or as an inversion, menu as a manifesto. Formatted broadly as a menu, the manifesto can include conceptual recipes or other relevant forms to finally culminate in a live event during the strand exhibition later this semester.